The train service was already available and connecting the Capital of Indonesia and my city, Bogor since a long time ago. 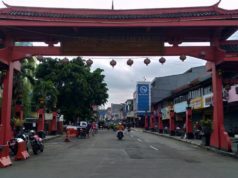 It was started back in 1871 when the Dutch colonialist railway company named staatsspoorwegen decided to open a new station in the growing city, Bogor. The station was the end of the railway line connecting Batavia and the “vacation city”. At that era, the train was used not only to carry passengers. The supply of vegetables and plenty of raw materials were also included in the list of things transported. After the independence of Indonesia, the railway was taken over by Indonesia. It was named as Indonesian Railway Company (PJKA/PT KAI). Until three years ago, the train service was still called as KRL or Kereta Rel Listrik (The Electric Railway Train). 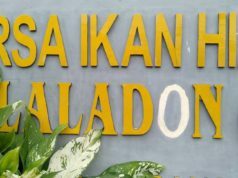 Only after the Indonesian Railway Company (PT KAI) decided to split the commuter service with long distance train, the new name was given i.e. Commuter Line and handled by the subsidiary of PT KAI, the Commuter Jabodetabek Train Company (PT KCJ PT Kereta Commuter abodetabek). Do you know that every year Bogor is visited by around 150,000 foreig tourists that come to see Bogor Botanical Gardens ? I guess not. Yes, it is the number and it still grows yearly. Unfortunately, most of them when they come use either car arranged by hotel or tourist agency bus. Only few, very few would take a risk to use the train service. I am not saying it is wrong. Having traveled to overseas myself, I can understand the insecurity feeling in foreign land. It is understandable. 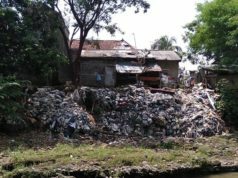 Especially because, there were also many information about how poor the train service in Indonesia. I admit that. Even as an Indonesian, I had the same feeling. As of today I have been a regular user of this train service for almost 26 years. So, I can tell you that it was like what you saw or read. However, I said “it was”. 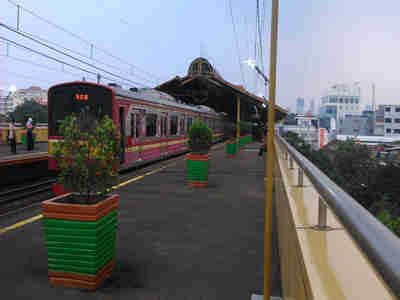 It has changed a lot since three years ago when the split took place and when the service has a new name, Commuter Line. There has been a lot of improvement. A lot! All the stations in the line have been reorganized. All have been cleaned and more passengers friendly facility have been added. The trains have been also renewed. The old ones are replaced with the new. if in the past, you might have seen trains without doors, now there was no longer there. The frequencies of train serving the line has been gradually added. In total there are now more than 600 hundreds train departure connecting Jakarta and the satellite cities. 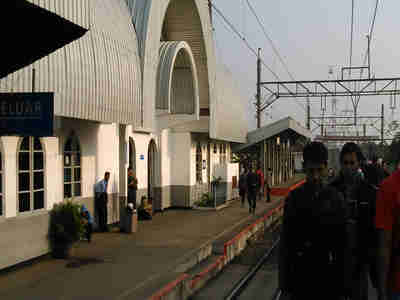 Bogor is given the biggest chunk of the schedule, more than 350 train departures are provided to connect Bogor and Jakarta. 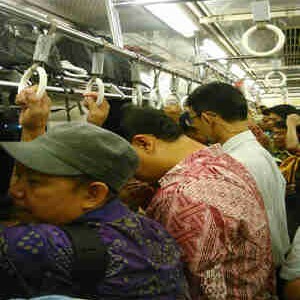 Daily the Commuter Line service provides a transportation for 700,000 passengers. Among those numbers 300-400,000 passengers are the ones who commute between Jakarta and Bogor only. The number will still grows. 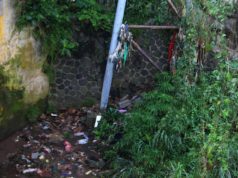 From the numbers, it is safe to say that the train service is very important for Bogor and also for anyone who wants to visit this rain city. 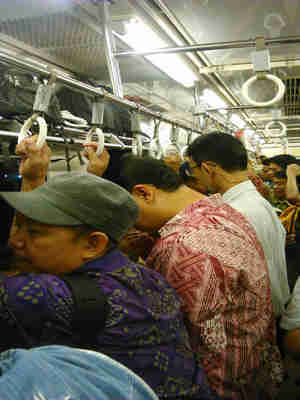 What is the relation between Commuter line , the train service and tourists from overseas ? 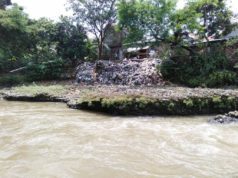 Well, the answer can actually be seen from the reasons of people using Commuter Line service to depart from or to reach Bogor. Compared to bus or cars, the train was the fastest. 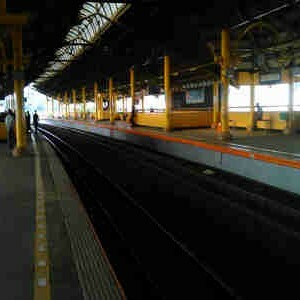 It takes only 1 hour 45 minutes to travel from Jakarta Station and Bogor Station. Cars and buses need at least 2.5 hours and often more (4-5 hours) due to traffic in Jakarta. In rainy condition, it can be more because traffic in Jakarta is really disaster . How much cost you should pay using a car arranged by your hotel? Rp. 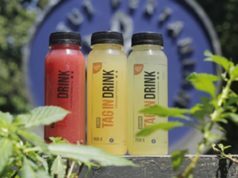 300,000.- (US$ 25) ? or Rp. 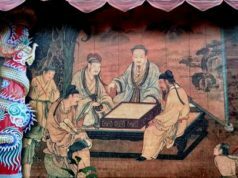 500,000.- (US$ 40) per day? Well, better to keep that amount for buying souvenirs for your family. You will be asked to pay Rp. 2,000.- ( for the first 5 stations) and Rp. 500.- for the next three stations. 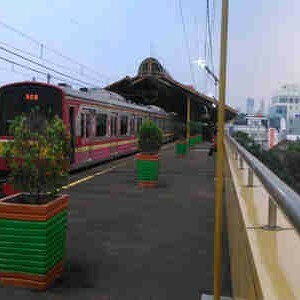 For example, from Jakarta Kota to Bogor in total there are 24 stations. This will mean the fare will be only Rp. 7,000.-/person or only less than US$ 0.70 for one way trip. 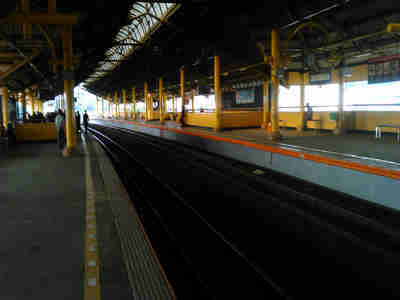 The view of Cilebut Station Bogor. The late departure or arrival was one of the main reasons for not believing train service. It is not 100 percent settled yet. Sometimes, it still happens. However it is more predictable these day. The ratio has been dropped and the length of its tardiness reduced to 10-15 minutes only. Many will argue with me about this. However, I don’t think being stuck inside an air conditioned car for 3-4 hours is convenient. No matter the type of car used, it is still inconvenient. I prefer to reach the destination as fast as possible than just sitting and unable to do anything inside a car for hours. The inside of the carriage of the train service was also air conditioned and have seats. Just like commuter train around the world, there are more space for standing passengers than the seats. Besides there is a way to avoid crowded trains. If you just want to have a vacation, you should not be in hurry. You can avoid the peak hours in the morning around 6-8.00 AM and 16-18.00 PM . Of course, I can understand if you still ask the hotel to arrange a tour by car or buses. I won’t blame you for that. 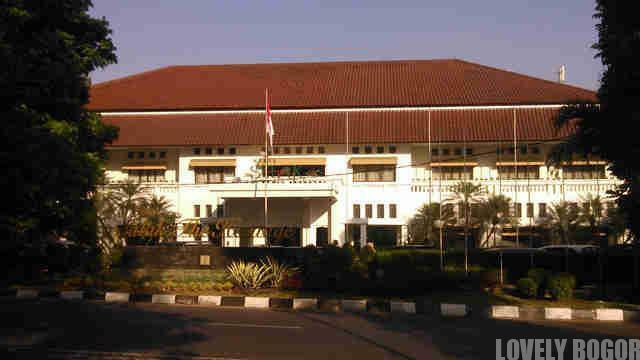 This is just to let you know that there is another good way to reach my city, Bogor. Don’t you think it is better to compensate a bit of your convenience with some more souvenirs to be brought back home? Besides, adding a bit adventure in your trip story should be nice, don’t you think so? I will write later about how to buy a train ticket and how to make a trip by train service later. Meantime, if you already need the schedule of train departure from Jakarta to Bogor, please just see “Informasi (Information)” category. It is written in Indonesian but believe you will just need the name of the station and also the time schedule. Your information is very helpful for me to plan Bogor tour. Can you inform how many minutes will be taken from Bogor Station to Bogor Botanical Gardes on foot? And Can I buy entrance ticket at the Gate II of the gardens, western gate of garden? Only 15-20 minutes depending on how fast you walk. It’s enoyful because you can also see some avrious cultural heritage when you walk. Gate II now is only open on Sunday, so perhaps you should walk a bit far (less than 1 kilometer) to Main Gate or Gate I. You can buy ticket on any gates. Hello, end of this month I’m planning to go Puncak to do the Paragliding there. Is that easy for me to find the grab or taxi to take me off to Puncak from Bogor Train Station? Hello… Taxi is not available in Bogor Train Station. However, Grab or apps based transportation is available. But you may need to walk a bit to Taman Topi/Hat Park around 20-30 meters from station to get picked up. Hi, your info really helps a lot. I would rather take train then stuck in the jam for few hours. I m planning to go Taman Safari Bogor with 3 kids. May I know how far in between the Bogor train station & Taman Safari? sorry I was on holidays last two weeks and just saw this comment today. I suggest, if you want to go to Safari Park, better to use your own vehicle. It is still quite far from Bogor Train Station to Safari Park. Almost 40 kilometers. 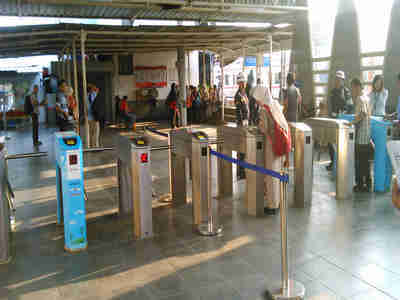 To take public transportation from Bogor Station will consume lots of time and you may arrive there in the afternoon. 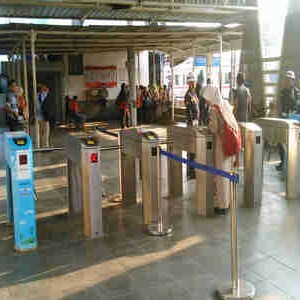 If you want to use public transportation from Bogor station, please take aplication based / online car or Txxi. Safari Park is near Puncak area, Bogor Regency . 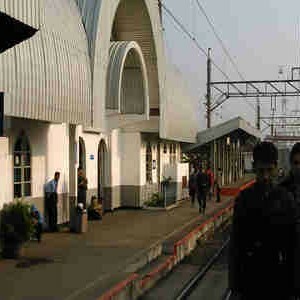 Meantime, Bogor station is in thecenter of the city. useful information…thanks..i going to Jakarta on 23/5 and will visit bogor also.. Thank you for your information, I would like to try the train service.Take train from Jakarta Airport to Bogor and to Sukabumi. Well.. Vernile.. if You want to go directly from Airport, better to take a bus. There is a direct shuttle between Airport and Bogor without having to transit in Jakarta. Thank you – that’s very useful information!